Keurig machines simplify the process of making coffee. Picking a model, however, can be complicated. What exactly is a K-Cup? What’s the difference between the Keurig Classic and Keurig Plus? Are all coffee pods interchangeable? The main draw of a Keurig machine is that it makes a nearly perfect — or at least consistent — cup of coffee with the mere push of a button. Since all of Keurig’s current models are based on the same brewing system, and since they all use premeasured K-Cups, you’ll get a similar cup of joe with every model. But this doesn’t mean that all Keurig machines are created equal. Some can’t brew more than 10 ounces of coffee at a time, for example. Here’s how to choose one. The K15 is the most basic (and cheapest) model offered by Keurig. Like the other machines in the “Classic” lineup, the K15 is only compatible with single-serve K-Cup pods. While this is fine for making yourself a cup of coffee in the morning, the K15 is not ideal for households with multiple coffee drinkers. It also doesn’t have a water reservoir, though it does benefit from one-touch simplicity and compatibility with 6-, 8-, and 10-ounce pods. The machine’s focus on single servings might limit its capacity and capabilities, but you can upgrade to a more capable model for just a bit more money. The K55 is faster and more versatile than the K15. While this Classic model is still limited to single-serve pods, it can brew a 6-, 8-, or 10-ounce cup of coffee in under a minute — which is twice as fast as the K15. It isn’t designed to serve multiple people in the morning, but it can certainly handle a caffeine rush every once in a while. The K55 also has a 48-ounce reservoir, which means that you won’t have to fiddle with the water level every morning. If you drink an 8-ounce cup of coffee in the morning before work, you’d only have to fill the reservoir once a week. 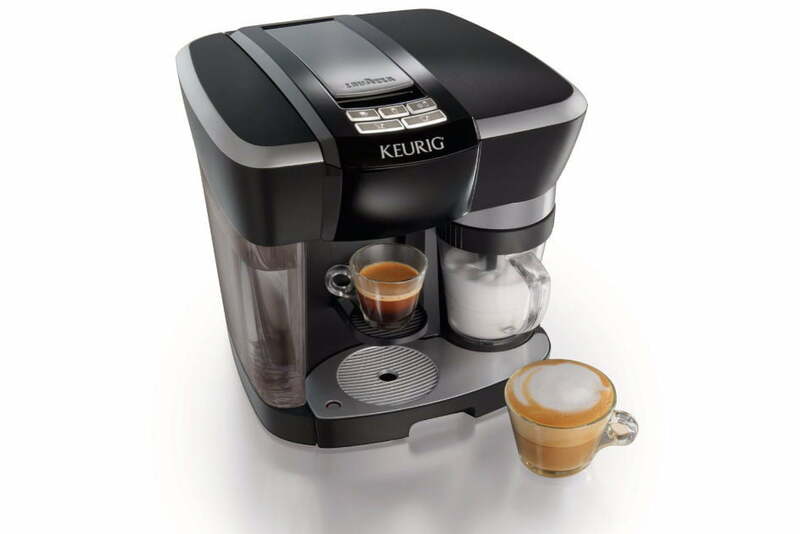 The Keurig Classic line is perfect for people who want a simple machine that can give them a simple cup of coffee. But if you’re looking for more options (or to serve more people), you should check out the Keurig Plus Series. 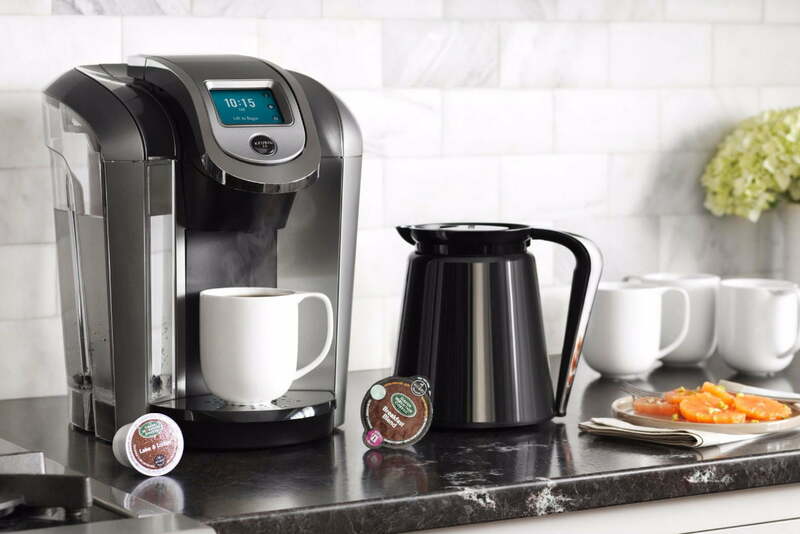 The main difference between these two product lines is that machines in the Keurig Plus series are capable of brewing everything from 4-ounce cups to 30-ounce carafes, while the Classic line is limited to 6-, 8-, and 10-ounce cups. 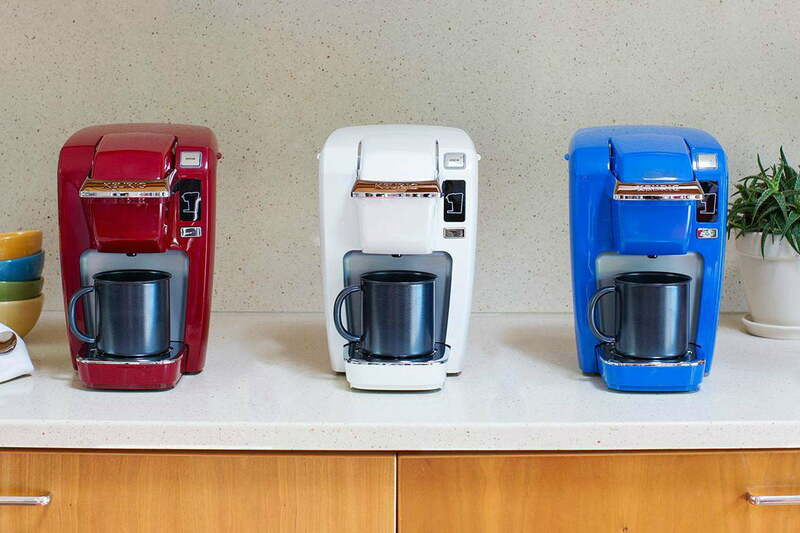 Most Plus series models, specifically the Keurig 250, also allow you to adjust the strength of your coffee. The K250 even has a 40-ounce reservoir and settings for specialty drinks such as hot cocoa, chai, and mochas. The Keurig 575 is the “ultimate Keurig brewer.” With hot water on demand and an 80-ounce reservoir, the K575 can effortlessly perk up a group of sleep-deprived adults in a matter of minutes. The machine also comes with a large touchscreen display, which makes it easy to customize brew strength, temperature, and serving size. The machine even features a high-altitude setting, an energy-saver mode, and an auto on-off feature that can be set for a specific time. The K575 takes up more counter space than other models, but if you can spare the space (and the cash), this model has the most versatility and features. Keurig is known for simplifying the process of making coffee, sure, but the company also knows how to craft a nice espresso. 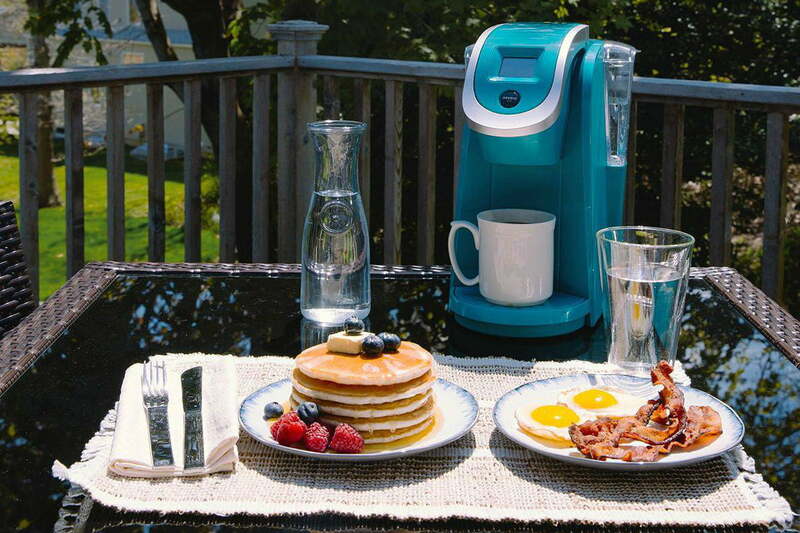 The Rivo Cappuccino and Latte System is just as effortless as using Keurig’s coffee makers. You simply insert the pod, fill the reservoir, and hit the appropriate button. The Rivo even has an automatic frother with three settings (Cappuccino, Latte, or Cold Froth), meaning you can tailor your 1.4- or 2.8-ounce cup of espresso exactly to your liking. Fifteen bars of pressure mean you’ll be sipping your drink in under a minute.